To ask Marta Perry questions, please sign up. Marta Perry Hi, Martha. You can order them online at Amazon. I'm afraid most stores wouldn't have them since they're not the most recent books. If you don't have…moreHi, Martha. You can order them online at Amazon. I'm afraid most stores wouldn't have them since they're not the most recent books. If you don't have success or prefer not to order online, email me at marta@martaperry.com and I'll find some other way of getting them to you. Was your Pleasant Valley name and setting inspired by Happy Valley and Big Valley? I was born (and spent the first 18 years of my life) in central PA, so I have to wonder...thanks! Marta Perry Yes, it was--clever of you to guess. Obviously I changed things about the community to suit my stories, but that's where the name came from. I live…moreYes, it was--clever of you to guess. Obviously I changed things about the community to suit my stories, but that's where the name came from. I live outside Bloomsburg, and I've often driven through that area. 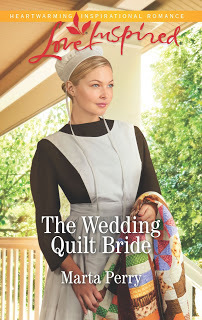 My latest book, THE WEDDING QUILT BRIDE, will be out soon, with the paperback copies available by April 17th and the e-book available on May 1. I hope you'll be looking for it! We’d love your help. Let us know what’s wrong with this preview of Random Winds by Belva Plain. We’d love your help. Let us know what’s wrong with this preview of Sons of Fortune by Jeffrey Archer. 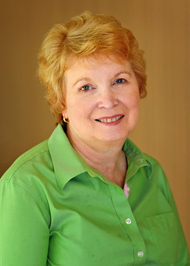 Author Lyn Cote hits a new high in FAITH, the third book in her Quaker Brides series. FAITH is the beautifully-told story of a brave and dedicated Union Army nurse who cares for the victims of a terrible war while searching for a childhood friend who Author Lyn Cote hits a new high in FAITH, the third book in her Quaker Brides series. FAITH is the beautifully-told story of a brave and dedicated Union Army nurse who cares for the victims of a terrible war while searching for a childhood friend who was kidnapped and sold into slavery. Cote’s meticulous attention to historical detail never intrudes on the love story of Faith and Dev Knight, the slaveholding Union officer whose personal conflicts become very real. A particularly touching scene shows Faith sharing her Quaker beliefs with him, putting the eternal struggle of faith in a time of war in poignant terms. Any reader who watched the PBS series Mercy Street will be enthralled by this book. We’d love your help. Let us know what’s wrong with this preview of Faith by Lyn Cote. Marta Perry made a comment on THE RESCUED book giveaway! We’d love your help. Let us know what’s wrong with this preview of Sarah's Gift by Marta Perry.
" Thanks so much, Paula. Your reviews are really appreciated! “A Husband should always like his wife's cooking BEST." message 8: by Janie R.
I'm glad you're enjoying my books. Lost in Plain Sight is actually an e-novella, just a little extra between books. The third book is Danger in Plain Sight, coming out in June. And in Ju..."
Thank you for the info! I am looking forward to starting on those books soon, I love Amish suspense/mystery books! I'm glad you're enjoying my books. Lost in Plain Sight is actually an e-novella, just a little extra between books. The third book is Danger in Plain Sight, coming out in June. And in July there's another novella in the series, which will be in book form in an Amish suspense anthology called Dark Crossings. message 6: by Janie R.
Thanks for adding me, Marta! I have so enjoyed reading your books! I am looking forward to reading your Amish Suspense series, by the way, is Lost in Plain Sight the #3 book in the series? I noticed it was only available in Nook. Glad to 'see' you, Penelope! Marta, thank you for the friendship. Thank you! I'm having a lovely day, and we're meeting our daughter and two granddaughters tonight for supper at a favorite seafood place.